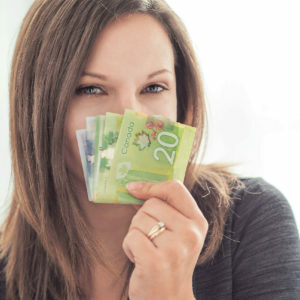 As a Money Coach I help clients create their financial vision for the future. Even for myself I sit down and look at the New Year and see what changes I want to make financially. No matter what your financial state or plans are be sure to use these 5 Questions You Should Ask Yourself to Create Financial Success in 2018. What? What is it that you want? It is really easy to say “I want more money.” What does that number look like for you? Is it $10,000 or $10,000,000. One thing I use to help my clients get clear about what they really want is “A Next 10 Big Things” list. They make a list of the next 10 big items whether it is a roof for the house or a family vacation. Then find out the prices for those things, add up the total and you have a rough idea of your “What” $ amount. Why? It is easy enough to make a list of “wants and needs” but do you know WHY you want those things? Is it to impress someone else? Create more abundance in your life? Escape the job you hate? The Why is more important than the what. Sit down and prioritize the list by the “why” you want it. Asking yourself this question might end up taking quite a few items off of that list. When? So you’ve cut the list down to half, now it is time to decide “When.” If it is a vacation you’ll have to ask when can I get the time off, when is the best time to visit that destination? If you’re looking at a new roof for you house it probably won’t be put on in the dead of winter right? Choosing your “when” will help you create a budget that fits with your timeline. If you need help creating that budget, check out some of my options for money coaching. Who? Who can help you achieve this? Will it be a spouse? (if the answer is no you might want to look into couples coaching!) Perhaps it will be your financial planner? Maybe it will be all up to you. Things are easier with support, find someone to keep you accountable to your financial vision for the year. How? Last but certainly not least, How are you going to do it? It won’t be by hitting up Tim Hortons or Starbucks everyday. Will you need to find a way to create more income? Can you find money in your budget already? You might need some budgeting help to really figure all of this out – THAT IS OK! We weren’t all born with calculators for brains. Unless your family taught you about money growing up you’ve probably been winging it. YOU CAN ACHIEVE YOUR FINANCIAL VISION! I know this because I’ve watched countless clients go from overspending every month to paying off debt and saving for the things that really mean the most to them. Does this sound good to you? Reach out to me for a free consultation. Money doesn’t have to be hard.